Rights? You *#**#*% don’t got no stinkin’ rights. This tale from Philadelphia, A.K.A. the City of Brotherly Love, seems to fit neatly into the jigsaw puzzle with this piece about a recent Indiana Supreme Court decision and this one about an incident in Pima County, Arizona. It seems that a Mr. Fiorino, with the appropriate permit for carrying a firearm, did just that. As he walked down a city street, holstered pistol visible on his hip, he was accosted by the police who spoke to him in language not customarily heard in church or elsewhere in civilized surroundings. 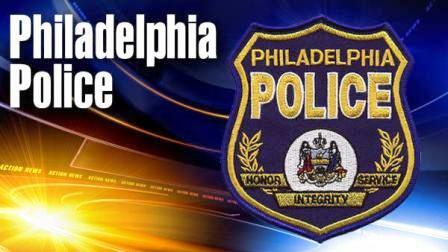 Fiorino was on Frankford near Placid Street when Sgt. Dougherty spotted him from his police cruiser, stopped and called out to him. An unnerving back-and-forth started to unfold like a bizarre routine. Dougherty would bark an order, and Fiorino would make an alternative suggestion. That might have been the end of the thing, too, if it hadn’t been for the recordings. Things got a bit more unpleasant. After Fiorino posted his recordings on YouTube, they went viral. Members of pro-firearms forums on the Web took a particular interest in the incident. The Police Department heard about the YouTube clips. A new investigation was launched, and last month the District Attorney’s Office decided to charge Fiorino with reckless endangerment and disorderly conduct because, a spokeswoman said, he refused to cooperate with police. Fiorino said he plans to sue the city whenever his criminal case is resolved. Police spokesman Lt. Ray Evers said the department believes that Fiorino wanted to get into a confrontation with cops, that he wanted to see them lose their cool so he later could file a lawsuit. Some good did come from the incident, although Mr. Fiorino is still facing criminal prosecution. The Police Department is trying to make sure none of its officers are ever again caught not knowing basic gun laws.“Our officers weren’t up to speed [because] we never really addressed it,” said Lt. Francis Healy, the department’s lawyer. Healy said he emphasized the importance of officers being polite and professional if they have to stop a person who is legally carrying a firearm. “You can use caution, but you don’t need to curse them up and down and put a gun in their face,” he said. At City Hall on Saturday, about 30 gun owners staged a protest of Fiorino’s recent arrest. Mr. Fiorino may indeed have anticipated such actions by the police — having experienced that sort of thing previously — and he may indeed have set out to conduct his own little civilian sting operation. Still, the police should have been aware of the laws they attempted incorrectly to enforce and rather than cuss Mr. Fiorino out for not yielding to their ignorance of those laws they should have asked him, perhaps even politely, to stand where he was until they figured out what they should do. Here is one of the YouTube audios. I have had very few encounters with police officers and in those few they seemed to know what they were doing and were courteous. Here, they were ignorant of the law they were apparently trying to enforce and were grossly discourteous with no apparent reason. Maybe the Indiana Supreme Court had it right — just do what you are told to do, don’t mind what the laws say, and the courts will sort everything out later. Perhaps the Pima County SWAT folks were right when they fired a “hail” of bullets leaving sixty slugs in a twenty-six year old former Marine, leaving him dead in his home. I don’t think so. Law enforcement activities of this sort seem inappropriate and unless they are called to our attention through more “sting” operations there will be more of them. Perhaps police should consider conducting some similar sting operations themselves if they don’t want adverse publicity. Guy walking down the street with his ersatz phallus strapped to his waist, recording device at the ready, and when the cops predictably stop him, he records the whole encounter. Nah, doesn’t sound like a set-up to me. No doubt, the cops should have known that there was a law that permits wannabe John Waynes to openly pack heat in public places. No matter that the law is absurd. Tom, No matter that the law is absurd. Maybe it is; I won’t argue that point. Maybe the Second Amendment is absurd and maybe Supreme Court interpretations of it are absurd as well; I won’t argue those point either because unless the Philadelphia police have taken over judicial and legislative functions legitimately, that’s not relevant to the situation. Set-up? When the police do it, quite legitimately, it’s called a sting operation. That’s generally OK unless there is entrapment; based on what I have read, there was none of that here. When a private citizen conducts what would be a legitimate sting operation, with no entrapment, to make public the disobedience of laws by the police whom they pay to enforce them, it’s bad? It’s not the proper function of the police to make up the laws as they go along, to enforce those they like and to disobey those they don’t. Who do they think they are? Attorney General Holder? He seems to think he and his Justice Department have the current monopoly on that. That’s apparently what happened here. Was Mr. Fiorino, whom the police detained for a long time, forced to the ground and at whom they used language uncommon in churches a jerk? He seemed quite courteous to me and I think he had a point to make, in which he succeeded. He kept his cool and the police — who were the ones disobeying laws of which they should have been aware — lost their cool and behaved as foul mouthed jerks. That’s a farce. Whom did Mr. Fiorino endanger, recklessly? Himself? How was his conduct disorderly? Are all refusals to cooperate with the police when they act unlawfully in one or both of those categories? Even the Attorney General of Indiana has asked the Indiana Supreme Court to take back language in its recent decision saying something very much resembling that. This mess will not further any remaining sense of confidence in Philadelphia’s finest or in the District Attorney’s office. And on it goes. Where it stops, nobody knows. The probability that Fiorino intentionally set up this confrontation is clear. After all, why walk around with a recording device at the ready and heat on your hip? That’s not a legal issue, like entrapment, it’s evidence that Fiorino was trying to make a gun control statement. As your last link indicates, the Philadelphia Police have said they will continue to pay close attention to people openly carrying firearms in the city. I don’t think they’d be doing their jobs if they didn’t. And personally, if I were standing in line at McDonald’s or shopping in a store and there was a guy with a Glock on his hip in front of me, I’d like to have a cop there to question him a bit to see what he’s up to. Tom, you say it’s evidence that Fiorino was trying to make a gun control statement. Last I recall, making such a statement is speech under the First/Fourteenth Amendments. To what extent, if at all, should the police, unlawfully, try to prevent it? Would you want the cops to make him kneel on the floor, cuss at him and detain him until they figured out what the law might be? Can I assume that would not be the case if the guy with a pistol were a policeman? If you saw half a dozen guys in Muslim garb kneeling in prayer at an airport and about to board your aircraft, would you call the cops? If so, what would you hope/expect them to do? I’d say it’s everyone’s duty to do these sorts of things if the police are corrupt. Set-up? There is no “probability” that this was a set-up, it was absolutely and unequivocally a set-up. If the police are doing their job by the numbers, then they need not fear such things. Sort of like “If you’ve got nothing to hide…” except that where the police may conceal their criminal misconduct (that’s what they’re doing, BTW) is where you’ll find tyranny. Absurd, you say? Careful when you start tossing around formal logic terms like “absurd,” especially as pertains to the law. An absurdity is a patent logical contradiction. You may not like the law as it stands, but that doesn’t make it an absurdity. If there is an absurdity here, it is the idea that free people must deal with ignorant thugs with badges.